If we learn from our mistakes and money is the price of an education, foresight must be priceless. As a home inspector our primary goal is making you aware of safety concerns and costly repairs. 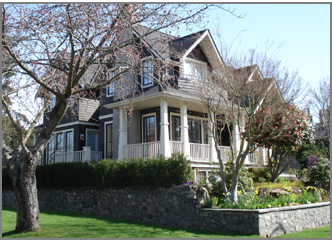 We educate you about the site, structure and systems that make up your home, condo or town home. Pre-purchase Inspections can save you a lot of aggravation. Whether you’re purchasing a brand new home or something older it reduces your risk, provides piece of mind, and helps inform your purchasing decision. Pre-list Inspections can help smooth real estate transactions. By repairing or incorporating any findings into your property disclosure statement, eleventh hour renegotiations are less likely. Maintenance Inspections can save you inconvenience. Much like our own health by catching issues early or preventing them the treatment is easier, less costly, and less time consuming. Ask about our 30-day money back guarantee.